How much do artists make playing house concerts? 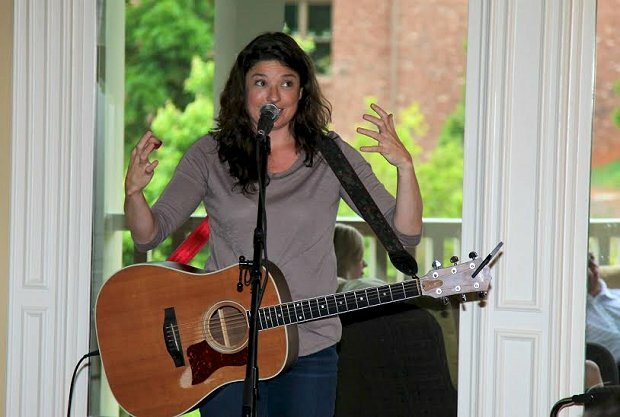 Sonicbids recently shared the story of Shannon Curtis, who made $25,000 on a two-month house concert tour. UK native and current Georgia resident Callaghan embarked on a similar tour in 2013, spotlighted in a Billboard article about the growing house concert trend. That one-month tour went so well that she's already booked a two-month tour for 2015. Indie stalwart Michelle Malone asks for a $1,500 guarantee for private performances or a $20-$25 donation per person for a public house concert. "It's such an intimate experience," say Malone. "I allow the hosts to help me write the setlist so that it feels really special to them." Jennifer Daniels from Chattanooga, TN, averages $500 per house concert with another $100 to $300 in merch sold per gig on top of that, "depending on how many people are there," she says. "I'm grateful for the little push financially, and much more for the intimate atmosphere house shows create. The give and take between artist and audience is palpable." If you like the idea of bypassing the old-school touring model and dealing directly with fans who are simply there for the love of music, chances are you're going to really love doing house concerts. "A lot of booking agents don't get the house concert thing," says Art Bowman, who has been hosting shows in his home since 2004, "so I'll deal directly with the act." His living room seats 45 people for performances, and he usually asks for a $20 donation, so there's a potential for the artist to make $900. That's not including the merch. "I've seen acts make between $300 and $500 in merch sales. Sometimes they don't bring enough!" Every house concert experience, like every home, is different. If you're just starting out, booking an established house concert series like Bowman's isn't likely. The best thing to do is get your fans on board. Send out emails touting the house concert idea. Ask them to host a show. Or, you can try registering at concertsinyourhome.com to plug into an extensive, nationwide host/artist network. Before you ditch your traditional gigs to pursue life on the road as a house concert performer, keep in mind that the market is limited, because it's not really a market, after all. A residential home isn't a business and hosts can only put on a limited number of concerts per year – Bowman does six – unlike clubs that are open most days of the week with overhead to meet and employees to pay. Concerts In Your Home founder Fran Snyder, a touring singer/songwriter himself, offers a reality check to those new to house concerts: "A house concert host can have just as much trouble building an audience as the artist. It is very difficult to get 30 people to show up at your house and pay to hear an act they don't know." The solution: shoot for a 10-person house concert at first. Snyder's newest venture, TenTenConcerts.com, aims to fill a void many indie touring singer/songwriters encounter – those empty weeknight slots on the calendar when there's no money coming in. The concept is simple: smaller house concerts of 10 people paying 10 bucks to hear an artist perform 10 songs. It's free to subscribe to the program. A hundred bucks, plus merch sales and an attentive audience on a weeknight? It sure beats competing with the club chatter and coffeehouse grind.